This Situation Update describes events occurring in Thandaunggyi Township, Tounngoo District during the period between November 2015 and February 2016, including education, healthcare, social situation, economic and political and military situation. 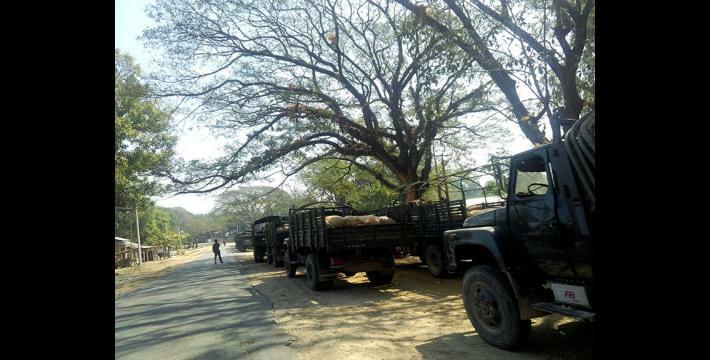 Myanmar government military (Tatmadaw) sent and transported more rations to their Tatmadaw army camp in the east of Thandaunggyi Township, Toungoo District. Tatmadaw tested their weapons near to the local village. Due to that, some of the villager’ gardens were destroyed and it made the villagers worry. In Thandaunggyi Township, Toungoo District, some schools are very old and need to be fixed and rebuilt. Thus, the villagers tried to inform the Burma/Myanmar government in order to rebuild their schools but they have not received any support. The local villagers reported health concerns as they did not want to go to the Burma/Myanmar government hospitals in Thandaunggyi Township if they were sick because some doctors only care for the patients who bring gifts for them. The following Situation Update was received by KHRG in February 2016. It was written by a community member in Toungoo District who has been trained by KHRG to monitor human rights conditions. It is presented below translated exactly as originally written, save for minor edits for clarity and security. This report was received along with other information from Toungoo District, including, one incident report, nine interviews and 334 photographs. This Situation Update describes events happening in Thandaunggyi [Daw Hpa Hko] Township, Toungoo District during the period between November 2015 and February 2016. It includes education, healthcare, the social situation, the economic and political situation, and the military situation. 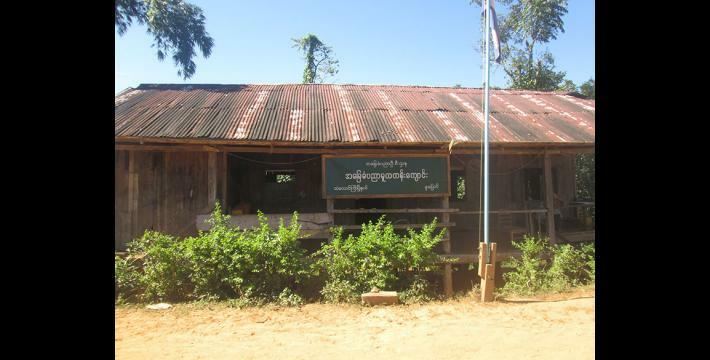 In Thandaunggyi Township, students had a problem because the Burma/Myanmar government has changed the education system. In the past, the Ministry of Education in Burma/Myanmar set the rule that every student had to pass their exams without failing. Most of the students have already experienced this education system. In 2014 and 2015, students who were in fourth Standard and eighth Standard had to take the [Burma/Myanmar] government examination so it was very difficult to pass the exam for the students [because the exam was different to the curriculum]. In the 2014-2015 academic year, students had free text books for learning at nursery schools but they had to share when they moved up to the next Standard [Grade]. Each student received only six note books. They had to study like this. From November 2015 to January 2016, there has been no tuition for the students, but teachers called their students to come to the school or [the teacher’s] house for studying [for extra classes]. Therefore, each student had to pay 5,000 kyat [US $4.09] per month [for extra classes]. Some students went to the school for learning using round-table reading and they also had to sleep there; teachers are teaching like that in down-town schools. There were not enough school teachers in the schools in the rural areas. Teachers also came from a long way [away] and they could go back to their home in the town one time each month. Moreover, those teachers were often called to attend a meeting in the Township Education Office. Therefore, school teachers in rural areas could not fulfil their duties [as they were often absent]. Also, it affected the students to study in the school. In addition, some schools were very old and needed to be fixed, so the villagers submitted it [the need] to the Township Education Office many times in order to [get the Township Education Office to] rebuild the school, but there has been no reply or help from the Township Education Office. Thus, it was dangerous to study in the school. It also worried the students. The school might fall down because it is getting very old. 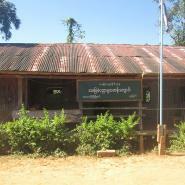 This [old] nursery school is located in Ku Pyaung village, Thandaunggyi Township, Toungoo District. 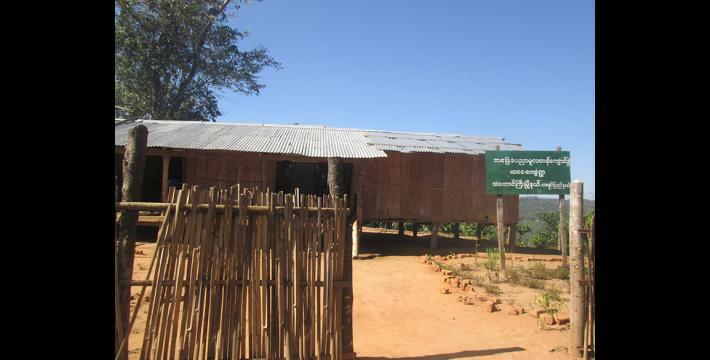 The local villagers built a self-funded school for their children as they wanted their children to get education even though the Burma/Myanmar government did not provide any funds to build a school. Then, the villagers called teachers to teach in the school. Teachers got paid or received salary from the villagers. Until now, the government has not given any support to build the school, but the villagers have requested to the Burma/Myanmar government to officially recognise the school. Since 2015, the Burma/Myanmar government permitted the villagers to have a sub-nursery school in their village. This school is located in Mar Day village, Leik Tho Town, Thandaunggyi Township, Toungoo District. 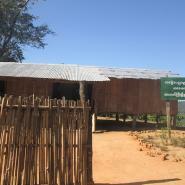 There are many local schools in the Burma/Myanmar government controlled areas. Most of the people in those areas are Karen people so they want to learn their own language in the school. The Township Education Office said that the local teachers in the village would earn 30,000 kyat [US $24.56] per month if they taught Karen language for one hour each day. The local teachers have given their time for teaching, but they have not received any kyat [payment] until now. So the local teachers who teach Karen language reported [this issue] to the headmaster [in order] to demand their salaries from the [Burma/Myanmar government’s] Township Education Office. The Township Education Department said that the District Education Department did not have any plan to give teachers a salary so therefore they do not have money [budget] for the local teachers. The local teachers did not do their jobs very well and their motivation of teaching has decreased. Now Karen language is not taught in the school. There are many schools [teachers] that do not receive salary although they are teaching Karen language. To be more specific, those schools are located in Maing Lun A’Ler village and Lay Law Day village, Thandaunggyi Township, Toungoo District. In Thandaunggyi Township, because of the war in the past, houses and schools in the village have fallen into disrepair. Now, the villagers rebuild the school with bamboo [poles] and they asked for text books from the KNU-KED [Karen National Union-Karen Education Department]. Then, the villagers hired only one female teacher from each village to teach the children. The villagers pay 200,000 or 300,000 kyat [US $163.75 or $245.63] per year for one teacher. The teachers do not care about their salaries because they only want the children in the village to be educated. The children are often unwell and also they do not feel secure because, although they are learning in the school, the school does not have a secure roof or floor. They only can establish [build] one school for three or four villages and the school is just a nursery school. There are only 20 or 30 students in this school. KNU-KED helps this school by providing note books, pencils, writing tools and sports supplies. There is no support from the Burma/Myanmar government. KNU tries to build middle schools (township-level schools) as much as they can. For students who study in the middle school, they have to go to KNU’s school. Students who study at KNU-KED’s school are able to read and write in Karen language, but students who study at Burma/Myanmar government’s school are not able to read and write in Karen language because Karen language is not taught in the Burma/Myanmar government’s school. For the local school, which is supported by the Burma/Myanmar government in the rural area, KNU provides writing tools such as pens, pencils and books and sports supplies. KNU also contributes Karen text books and note books to the local school, but students do not have time to learn Karen language because teachers have to teach many subjects from [Burma/Myanmar] government [curriculum] so they do not have enough time to teach Karen language and they [therefore] skip the Karen subject. A [business] company also supports schools in some rural places. They [the business company] built only the school, but they do not provide or contribute school materials so it becomes a problem to learn for students. Moreover, there are more and more students in the school in some villages so the school does not have enough space to learn. It brings difficulty for students and teachers. For example, there are a lot of students in Leik Tin village, Htantabin [Htaw Ta Htoo] Township, Toungoo District, but there are not enough spaces to learn in the school. So, the villagers submitted their case [information about overcrowding] to the Burma/Myanmar government in order to get support, but the Burma/Myanmar government did not give them any support. Then, the villagers again submitted the case [information] to an NGO [Non-Governmental Organisation] for help. On January 23rd 2016 two representatives from Japan came to meet the villagers in order to help them build schools. There is no school in old Hton Bo village so the children could not study and they have to work. The students who have no school in their village have to go to study in Nan Ga Mauk village, Htantabin Township, Toungoo District. Therefore, students have a problem for transportation [to reach the school]. For the health situation in Thandaunggyi Township, Toungoo District, most people who live in Thandaunggyi Township have the flu. Some people vomit and have diarrhoea, but they do not want to go to the hospital for medical treatment because they cannot afford the medical fee. Thus, they just try to look for local health workers who live in the village. Especially when the children who get many different diseases because of intestinal worms go to the hospital for medical help [their treatment is unequal]; the doctors only care a lot about the patients who give the doctors presents and gifts [bribes]. If the patients cannot give any gift, they [the doctors] do not care so much. If outpatients go to the hospital, doctors want them to buy a medical ticket [pay a standard treatment fee]. Doctors said the cost depends on how much they can pay for the medical ticket fee [treatment fee]. Actually, each medical ticket [treatment fee] costs 1,000 kyat [US$ 0.81] at the least. If a woman who is pregnant goes to the hospital, she has to pay 250,000 kyat [US $204.69] to give birth, not including the medical fee. If the children from Thandaung Myo Thit Town got sick, their parents did not send them to the hospital because they could not afford the medical fee [treatment fee]. So, they just went to the traditional medical doctor in the village because traditional medicine is cheaper than modern medicine in the hospital. The pregnant women were vaccinated one time each month. When the health workers from the government gave vaccinations, they put [a request] to donate money in the donation box and they said that anyone could give money depending on how much they wanted to donate. Yet, they actually wanted the people to donate at least 1,000 kyat [US$ 0.81]. Therefore, some people did not go to receive the vaccination because they did not have just 1,000 kyat [US$ 0.81] to donate. The health workers do not regularly give vaccinations in the remote areas because they did not go to those areas [frequently]. Even if they went and gave vaccinations in those areas, they did not have much time to help villagers because they said they could not stay and sleep [even] for just one night in the remote villages. In the rural area on the highland, there is no clinic and hospital. Therefore, the former military doctors from KNU have helped the villagers for medical treatment. These former military doctors asked the villagers to buy some required medicine and then they gave the villagers medical treatment for free. The military medical team from the KNU also gave the villagers medicine for free. However, sometimes villagers had to buy medicine outside because the KNU did not have enough medicine for all the villagers. Sometimes the villagers died from illness because the KNU could not send them the medicine on time. Most of the local civilians who live in the rural area are on the high [mountainous] land, and they experienced communication problems and money problems if they went to the hospital down in the town. Thus, they went to the military medical team from the KNU if they got sick. 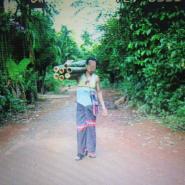 In those rural areas, the villagers only relied on the KNU if they had health problems. BPHWT [Back Pack Health Worker Team] and [Free Burma Rangers] FBR provided medical help but also contributed medicine for the villagers. They help the villagers as much as they can. In some rural areas, the villagers were given medical treatment by an extra group of people who had been trained how to care for pregnant women, and religious groups who had attended healthcare training for a while. In some rural places, clinics were built, but there was no medicine in the clinic. So the villagers could not have medicine if they got sick. [Local] Midwives also helped pregnant women to give birth, but the health workers from Burma/Myanmar government disliked that. So they [Burma/Myanmar government health workers] scolded the pregnant women and they asked money from pregnant women as a fine because they said that the pregnant women had to give birth by [using] them [Burma/Myanmar health workers]. The amount of money they [health workers] asked from the pregnant women is from 5,000 kyat to 30,000 kyat [US $4.05 to $24.30]. Although the Burma/Myanmar government health workers said they care for pregnant women, they actually could not give their full time for the villagers. They just were able to come to the village for one time or two times in a month. It is not easy for the villagers. The midwife helped the pregnant women to give birth and afterwards the health department of Burma/Myanmar government tried to make a list which includes the names of the pregnant women. The pregnant women did not want to give birth in the hospital because mostly the maternity doctor in the hospital asked the pregnant women to decide if they want to be sterilised after having a baby [by providing them with information about birth spacing and sterilisation] or they want the pregnant women to have a caesarean birth. The pregnant women were afraid of those kinds of medical treatment. There were not enough health workers in the hospital. It was also a problem to hire health workers because the Burma/Myanmar government did not have enough money. Many different ethnic groups stay together in Thandaunggyi Township, Toungoo District, but the vast majority of people are Karen people. There are also Burmese [Bamar], Shan and other ethnic groups. It is normal that different ethnic groups stay together in a big area, but it is unusual [for most people] to treat Muslims differently when they are together in the same place. As a Muslim, other people want to oppress them. Also, other people do not want give them any rights to do something. On January 14th 2016, Muslims wanted to celebrate their ritual bathing ceremony in Thandaung Myo Thit Town, Toungoo District. Each Muslim had to pay 200 kyat [US $0.16] [admission fee] if they entered into the Town for the Muslim ritual bathing ceremony. The money the authorities received was more than 400,000 kyat [US $327.51] on that day. The day after the ceremony [January 15th 2016], U Myut Tin who lives in Thandaung Myo Thit Town, Toungoo District submitted a [false] case to the Township Administrator in Thandaunggyi Town. In that case, [he claimed that] seven Muslims who stole children [on an unknown date] had been [present] downtown in Thandaunggyi Town. Related to that case, Muslims [in the Town] were being watched and checked. Moreover, they said they would check visitor permission records at K--- U’s house, who is a Muslim [to see if any Muslims had stayed there]. However, they did not check visitor permission request letters at his house and no visitor was permitted to sleep at his house after that [case] without [the authorities] knowing the reason. Thus, K--- U faced many problems about visitor permission records, and finally he decided to solve any problems that he would have if he allowed people to sleep at his house. Until now, people are still visiting and sleeping at his house. KNU soldiers needed to set up a checkpoint in Shwe Nyaung Pin village, Thandaung Township, so they arranged some place to stay [accommodation] for their soldiers since 2014. If family problems, theft or other unnecessary problems come up, they solve those problems together with the local villagers. Regarding stealing problems [when villagers accuse each other], it costs a lot of money and takes a lot of time to solve the problem if the local people submit the case to the Myanmar Police. It is also very complex if the Myanmar Police force takes responsibility for cases of theft. Therefore, local people mostly report criminal cases to the KNU. It might become a problem because of business [local businesses feel affected by this crime]. It [criminal cases] can also create social conflict because of land confiscation [caused by companies]. 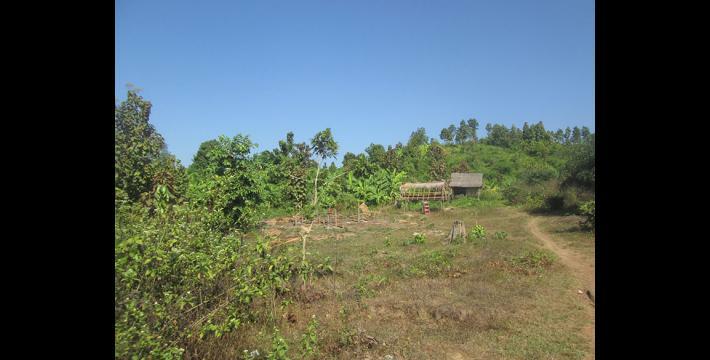 Kaung Myanmar Aung Company [KMAC] confiscated land in four villages which are Hto Bo village, Nan Ga Mauk village, Yay Ao Sin village and Kyet Khay Khyaung village in Htantabin Township, Toungoo District. Due to land confiscation, the local peasants became homeless. Some local peasants were sued [by the company] because they had claimed that the land does not belong to Kaung Myanmar Aung Company. The local people who were sued are just daily labourers so they could not pay for a lawyer to solve their problems in court. Some local villagers were forced to destroy their houses because the company said that they were trespassing on its land. The company opened a case in the court of law and they sued the local people for trespassing on their lands. The Myanmar police department also wanted the local villagers to sign a promise letter not to demand their lands [back]. Based on the land confiscation, these were the consequences of social conflict. Because of land confiscation, the local residents have faced many problems. 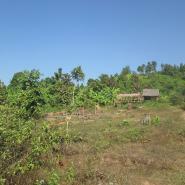 The company which confiscated the land is Kaung Myanmar Aung Company. Mostly, the local people are working on farms as farm labourers in Thandaunggyi Township, Toungoo District. Mainly, they are cultivating rubber, jengkol bean, cardamom and betel nut. One pound of rubber is priced at 450 kyat [US $0.36] so it is not easy to support the family with earnings at that price. One sack of rice is priced at 27,000 kyat [US $22.10]. One viss of pork is priced at 5,000 kyat [US $4.09]. With the income that they earn, it is not enough to support their families. The rubber price is not good so they have to cut the rubber tree and sell it. The harvest crops do not grow properly because of the bad weather. Also, the price is not good so the local peasants and gardeners are confronted with a serious problem. When they have a problem with social occasions [family and community responsibilities] including funerals, they have to rely on the price of home-grown fruit and vegetables so that they can pay for anything’s cost. When the price of home-grown fruit and vegetables goes down, the price of rice goes up. Therefore, the income and the expense are not fair. The Burma/Myanmar government staff’s salary has increased, but the commodity price is uncontrollable, so that daily labourers and garden owners face difficulties to solve their families’ livelihood problems. Most of the local people left their gardening jobs and they work as tree cutters or they look for other jobs on the border [with Thailand]. The local people in Hto Bo village and Nan Ga Mauk village, Htantabin Township, Toungoo District could only buy bananas with their incomes. Currently, they have to feed themselves by eating bananas. Kaung Myanmar Aung Company also sued the local people for trespassing on its land [in the case mentioned above], and they [local people] had to spend their money for travel costs when they went to the law court. So they also had a problem to support their families. In the summer, some local people looked for jobs and some people had to work as daily labourers but they [still] face serious hunger. The daily wage is just only 3,000 kyat [US $2.45]. In Thandaung Myo Thit Town, Thandaunggyi Township, Toungoo District, on January 22nd 2016 there was an announcement that the civilians could not sell petrol because one businessman wanted to be the only one to sell petrol. Thandaung Myo Thit Town is a central hub for transportation. If the people want to travel, they have to go through Thandaung Myo Thit Town. That is why some local residents sell as much petrol as they can for their livelihood, but there are many small petrol shops in Thandaung Myo Thit Town. Recently, U Myo Tin finished constructing his gas station in Thandaung Myo Thit Town. On January 22, 2016, Township Administrator, U Myin Than, proclaimed that people must only buy petrol at U Myo Tin’s gas station and the other small petrol shops cannot sell petrol. Thus, the local people who own small petrol shops have faced this challenge. Also, it was not easy to get petrol [at U Myo Tin’s gas station] for the people who buy the petrol. It took time to go and buy the petrol at U Myo Tin’s gas station. Some people use a municipal car to do business [make money] for their own benefit. There is one municipal car which is arranged [given] by the government in Thandaung Myo Thit Town, Thandaunggyi Township. Naw A---, the chairperson of the municipal committee in Thandaung Myo Thit Town, uses that municipal car for her own benefit. The local people also do not know in what way people should use the municipal car. When the State Investigation Committee came, and check the situation in Thandaung Myo Thit Town, ten-household-leaders and hundred–household-leaders called the local civilians to do cleaning [loh ah pay] in their own area. The local civilians did not get any wage despite cleaning. Within Thandaunggyi Township, Toungoo District, the military’s activities of Burma/Myanmar government are that they send more rations, troops and military supplies such as ammunition to the army camps in the east of Thandaunggyi Township. They normally transport rations once a week. Moreover, they set up security forces on the road in downtown Thandaung Myo Thit Town. There is a military training camp in Bu Yin Naung camp Town. In the military training camp, they do their normal military activities and also they do firing with artillery weapons [mortar] for practice. Because of their practice firing with mortars, some local peoples’ gardens were destroyed so it concerned local people a lot. On December 20th 2015, Major Soe Tin Naing, [Tatmadaw] Cantonment Area Commander, who was former headmaster in Thandaung Myo Thit Town, heard the news that KNU-KNLA [Karen National Union-Karen National Liberation Army] troops had arrived in Section (3), Thandaunggyi Town. That is why about 70 soldiers from his army with four military vehicles entered into the Town without informing the civilians and they positioned themselves to be ready and waiting. They brought a lot of artillery weapons in order to fight KNU army troops. It seemed that they are ready to fight, but there were not any KNU soldiers staying in that area. The local residents were frightened. Since January 20, 2015 [up until now], they [Tatmadaw] put security troops in Section (3), Thandaunggyi Town. They [security troops] sleep in the school at night and they stay in the villager’s houses in the day time. The security troops are ordered to live like that. It is an obstacle for teachers and students. Also, the local residents are worried and frightened. The security troops beside the road have to do not only security duties but also they have to find any required bamboo and trees for their mother [headquarter] army camp. 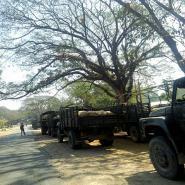 There are 15 military cars which carried rations and foods transporting to Htantabin Township, Toungoo District. On January 29th 2016 they also sent rations to Thandaunggyi Town. 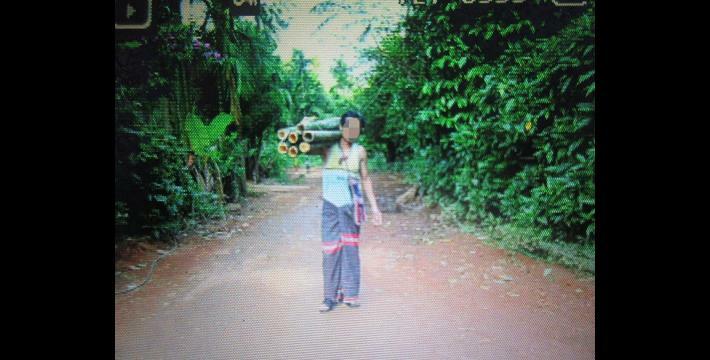 Tatmadaw army [also] confiscated the villager’s land. The area of the land was confiscated by IB [Infantry Battalion] #124. The ammunition was sent to the front line and the horses were put into military trucks to carry military supply. In the east of Thandaunggyi Township, Toungoo District, Tatmadaw normally used animal transport [horses] in order to send more rations. Therefore, [because of Tatmadaw activity in the area] KNU army built the camp near to Shwe Nyaung Pin village, Thandaunggyi Township, Toungoo District and they said it is a Karen organisation so they raised the Karen flag up in front of the camp. [Tatmadaw] Cantonment Area Commander U Soe Tin Naing in Bu Yin Naung camp Town said that he did not want to see the Karen flag so KNU had to take it away. [Tatmadaw] Battalion Deputy Commander Ye Min Naing from IB #39 and Company Commander Thaw Kin Aung went to the KNU camp in order to take the Karen flag away. On December 23rd 2015 Karen soldiers themselves took the flag away. Before December 23, 2015, Deputy Commander Ye Min Naing from IB #39 went to KNU army camp in Shwe Nyaung Pin village, Thandaungggyi Township and he said to KNU “Cantonment Area Commander U Soe Tin Naing in Bu Yin Naung camp Town dislikes the Karen flag that you raised, you have to put it down. Otherwise, it will turn into a conflict”. Then, two soldiers from KNU army camp took the flag away. The next day, KNU raised the Karen flag again and then Battalion Deputy Commander Ye Min Naing from IB #39 and Company Commander Thaw Kin Aung came again and took the Karen flag down. On Karen New Year’s Day, it is permitted to wave the Karen national flag from the morning to 12 o’clock. After 12 o’clock [noon], it is not permitted to fly the flag anymore. Saw Aa Lan Ka, officer in charge of KNU army camp, said to Tatmadaw “We will take the Karen national flag down [off the flag pole] as you order, but you can take it down by yourself if you want to take it down”. Therefore, it [the flag] became a source of insecurity for KNU army camp. Moreover, Tatmadaw were active in military operations which were intended to hurt or bully the villagers in 2006; it affected the local civilians. Actually, it is still affecting the local civilians whenever they [Tatmadaw] go and do their military operations. There is an unknown Major from LIB #563 under Military Operations Command #5 in Maung Nwe Gyi camp, Thandaunggyi Township, Toungoo District. He told some villagers to come to him because the cows from the village destroyed his army fence. So he ordered the villagers to cut the bamboo for him in order to rebuild the army fence. During the collection of information in the past, the local villagers were not able to respond to social conflict after their lands were confiscated. Regarding land confiscation, the situation became worse because the villagers had to go to the law court and they were afraid to deal with the case in the law court. The villagers had to go whenever the authorities from the company confiscated their land. However, the situation has become better during the period between November 2015 and February 2016 because the villagers from Hton Bo village, Nan Ga Mauk village, Yay Ao Sin village and Kyet Khay Khyaung village, Htantabin Township were able to hold a demonstration in order to demand their lands [back]. It means the situation gets better because the villagers are working in unity. Livelihood: In the past, the commodity price was going in the middle [stable] before the 2015 general election, but the commodity price went up after the 2015 election. Military activity: In the past, Tatmadaw sent more rations and ammunitions, as usual. After the signing of the NCA [Nationwide Ceasefire Agreement], the situation has been getting worse because Tatmadaw did [were active with] military operations but also they threatened local people. Regarding development [living standards], previously only rich people took [business] positions but nothing changed for poor people. Nothing has changed for the people from the working class so they have serious difficulties for their livelihoods. All conversion estimates for the kyat in this report are based on the 8th September 2016 official market rate of 1221 kyats to US $1. Round-table reading refers to a form of evening study whereby students sit around a table with a teacher and study together. It implies a less-formal education. KHRG has followed up on this information; Burma/Myanmar government health workers told pregnant women that they should not use local midwives. According to the local community, this was accompanied with the threat that if they did, they may go to jail. KHRG has followed up on this information. There was a personal disagreement between U Myut Tin and K--- U which resulted in U Myut Tin making a false accusation of child stealing against K--- U. This resulted in harassment for K--- U, including the Township Administrator requesting to see his visitor permission records. The accusation of child stealing has since been shown to be false. Kaung Myanmar Aung Company (KMAC) or Kaung Myanmar Aung Group of Companies is a Myanmar-owned business group with investments in teak plantations in Toungoo District, and mining, agriculture, shipping, construction and real estate development across Myanmar. Their chairman is Khin Maung Aye. KMAC have been implicated in land confiscation cases in southeast Myanmar which have included threats to villagers who were customary owners of the lands, see “Toungoo Situation Update: Thandaunggyi and Htantabin townships, November 2014 to February 2015,” July 2015. Affected villagers held protests against the company in 2015 and early 2016 in order to demand the return of their lands, see “Toungoo Situation Update: Thandaunggyi and Htantabin townships, November 2015 to January 2016,” July 2016. For information on a similar case with KMAC in Pyin Oo Lwin Township, Mandalay Division, see “Presidential adviser sues 13 farmers for trespassing,” Myanmar Times, September 2nd, 2013. See “Toungoo Situation Update: Thandaunggyi and Htantabin townships, November 2015 to January 2016,” July 2016. Infantry Battalion (Tatmadaw) comprises 500 soldiers. However, most Infantry Battalions in the Tatmadaw are under-strength with less than 200 soldiers. Primarily for garrison duty but sometimes used in offensive operations. See “Ongoing militarisation in southeast Myanmar,” KHRG, October 2016.